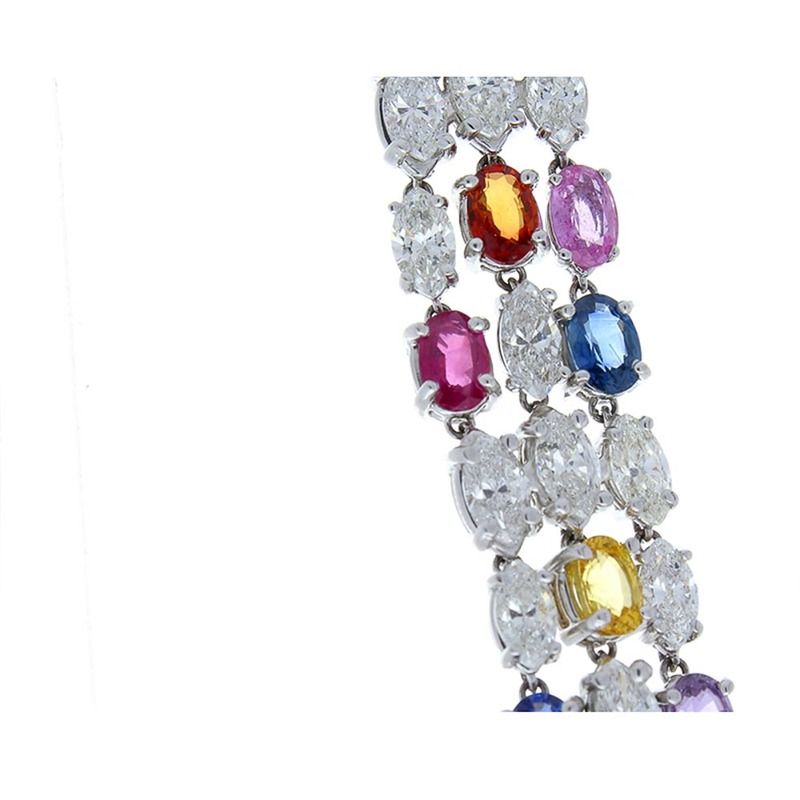 This gorgeous multicolored sapphire and diamond bracelet is luxury at it�s finest. It features a triple row of multicolored natural sapphires, sourced and collected from Sri Lanka, that total 17.0 carat accompanied by fiery marquise cut diamonds that total 16.70 carat. The gemstones and diamonds are prong set in 14 Karat white gold, in a creative pattern. The bracelet feels indulgent and fluid as it wraps around the wrist. If you are looking to have a truly one-of-a-kind bracelet, you'll want to have this!